The ACT government will ban greyhound racing from May 2018. And that's just the beginning. 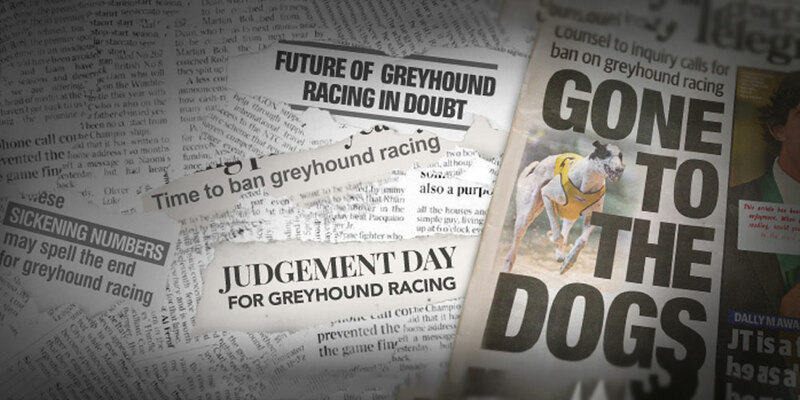 While the NSW greyhound racing ban repeal was undoubtedly disappointing, the reality is that greyhound racing is an industry that is crumbling nationwide. The ACT government has held true to its promise to stamp out greyhound racing cruelty in the Territory and passed legislation that will outlaw greyhound racing from May 2018. In light of "chilling, confronting and horrific" findings from the Special Commission of Inquiry, NSW greyhound racing participants will face "the strictest regulations that exist anywhere in the country". Dozens of commercial racing tracks will be shut down, fewer dogs will be bred and killed and a retirement plan will be required for every greyhound born into racing. Industry participants are realising they're being held to impossibly high standards as it becomes harder to race dogs for gambling profits. In the fallout from our explosive live baiting investigations, greyhound racing has been under intense scrutiny from the public, politicians and law enforcement. Mass killings, mass graves, doping and track injuries have been exposed — ripped from the shadows of this industry's long, sordid past. When these atrocities tragically continue, together, we will be right there watching — holding this industry to account. 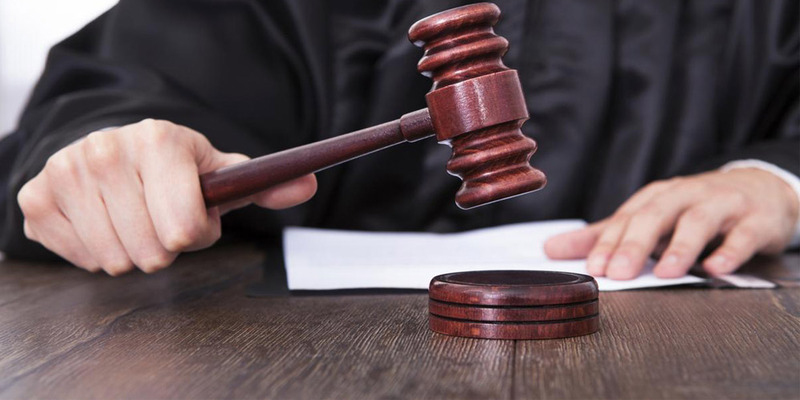 Tougher penalties await those who break the law. 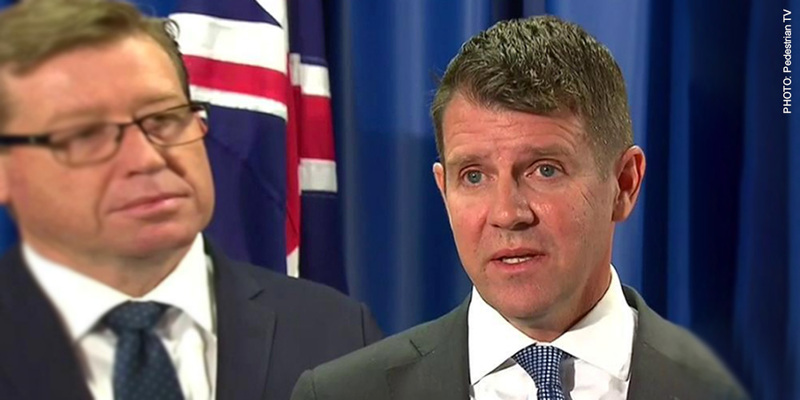 In QLD, the Attorney General recently intervened in a sentence deemed too lenient on an accused live baiter. In NSW, mandatory life bans and increased jail terms for live baiting will be introduced — consequences that dozens of greyhound trainers have already faced. The message is reaching industry participants loud and clear — the community has zero tolerance for cruelty. The untold suffering of greyhound racing victims went from being a well-kept industry secret to national news headlines. Since our live baiting exposé lifted the lid on this harrowing cruelty, hundreds of news stories amplified our voices and helped mobilise thousands of Australians to take a stand against what they saw — some for the first time. Caring people with room in their hearts and homes have taken their concern for greyhounds and put it into action. 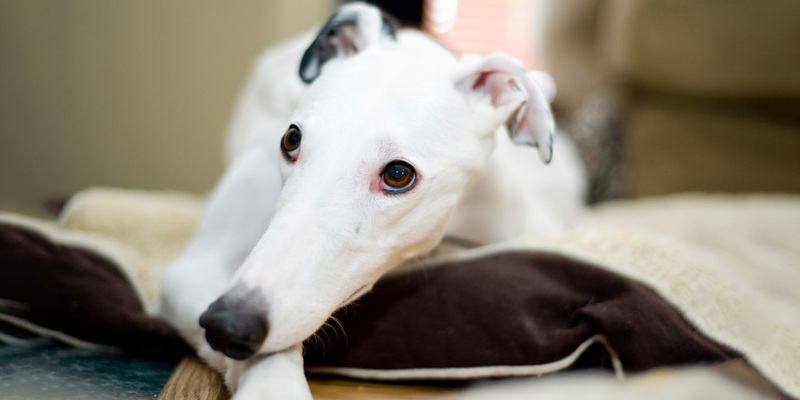 Adoption rates have reportedly increased and greyhounds are finally being seen for who they are — gentle, playful and affectionate companion animals who'd rather life on the couch than on the track. You are the reason abused animals have hope for a kinder future. Tens of thousands of people have lent their voices to the victims of abusive industries by contacting politicians, rallying and making news headlines. 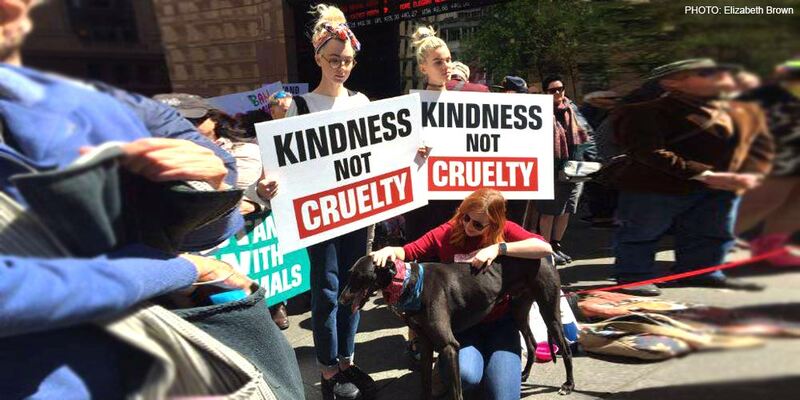 Compassionate advocates gathered in Sydney and Perth to show their support for a ban on greyhound racing. The atmosphere was palpable and their voices reverberated in headlines across the country. Momentum is building and every time you take a stand against cruelty, we edge closer to world where animals are free from suffering. Greyhound racing is an industry that remains on life support. The sun is setting on days where industries could get away with abuse unnoticed or unabated. Together, we'll be watching when greyhound racing makes its next misstep. We'll show decision makers that the only ones who deserve another chance are those caught in this vicious cycle of cruelty and suffering — the animals.